The flat was really comfortable. I used to live in Porto and I really did feel like I was at home again. I will always consider booking it again every time I need to go to Porto. El apartamento es precioso.limpio y acogedor. Todo fue muy fácil. Nos espero Tiago para darnos las llaves, nos enseñó todo el apartamento, nos indico lugares para visitar. Todo perfecto. Heel proper appartement, ruim, hoge plafonds. Goed geïsoleerd. Lekker bed! La clarté la propreté la situation les équipements l'accueil du personnel la literie sauf les oreillers un peu durs pour nous. Sin duda ninguna su anfitrión Francisco. Una persona encantadora, que nos facilitó una extensa información la ciudad así como ayuda en el penoso acceso al apto. La luminosidad de la sala. Super accueil, le logement était très beau et propre. La propreté de l'appartement, la situation proche de tout, l'architecture générale de l'immeuble. O apartamento é muito bem montado: simpático e bem decorado. Boa calefação (aquecimento), iluminação, água quente nas torneiras, mini-cozinha bem completa, itens de cama-mesa-banho novos e limpos e mobiliário confortável. Lock in a great price for Smooth Oporto Apartment by Porto City Hosts – rated 8.9 by recent guests! Located in Porto, just a 14-minute walk from Oporto Coliseum, Smooth Oporto Apartment by Porto City Hosts has accommodations with free WiFi. The property has city views, plus is 0.8 miles from City Market Bolhao. This apartment features a kitchen, a flat-screen TV, a seating area and a bathroom with a shower. Ferreira Borges Market is 1.6 miles from the apartment, while Lello Bookshop is 1.8 miles away. Francisco Sá Carneiro Airport is 10 miles from the property. 뀐 Located in the real heart of Porto, this property has an excellent location score of 9.1! When would you like to stay at Smooth Oporto Apartment by Porto City Hosts? This apartment features a satellite TV, stovetop and toaster. 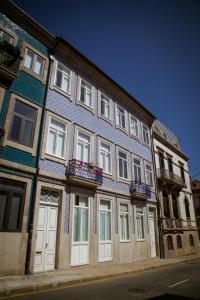 Smooth Oporto Apartment is situated in the center of the city and totally refurbished 2 years ago. We want you to feel at home with all the amenities you deserve, so we offer you an apartment that has a fully equipped kitchen and a modern bathroom with shower and hairdryer. The great plus point of the apartment is undoubtedly the sun exposure. It is an apartment with all the necessary amenities for those who want to spend a few days in the beautiful city of Porto! The Porto City Hosts Team helps its clients to receive their guests with professionalism and dedication, conveying a bit of Porto's culture. We like to introduce our Porto city, share new sensations with the guests, with our suggestions, lived in the first person. Whether strolling along the seafront, or boating on the UNESCO World Heritage Douro River, walks through the old streets of Oporto, also UNESCO world heritage, orchestras in the House of Music, smell the books in the Lello bookstore (influence for Harry Potter ), visit the cellars and drink Port wine, eat French fare and casings in the fashion of Porto or visit the farms where the grapes are harvested to produce the Port. Perfect space for holidays and / or a professional stay. 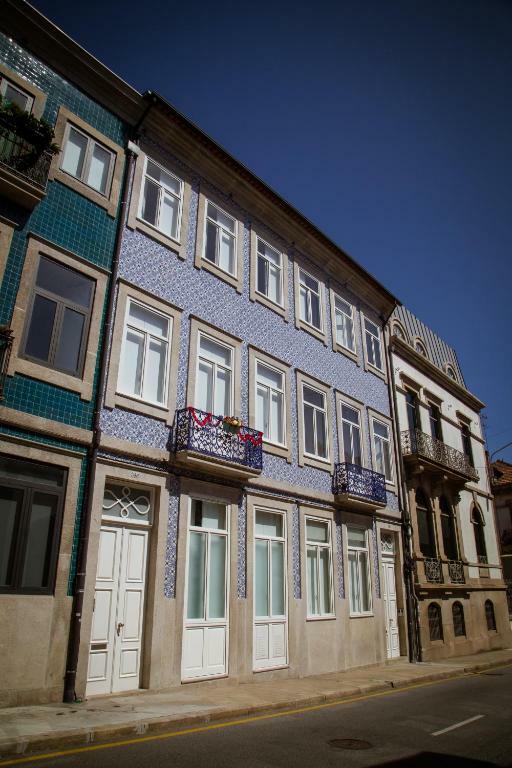 The apartment is located in one of the most central areas of the city, close to the shopping streets and the most sought after restaurants in Porto. 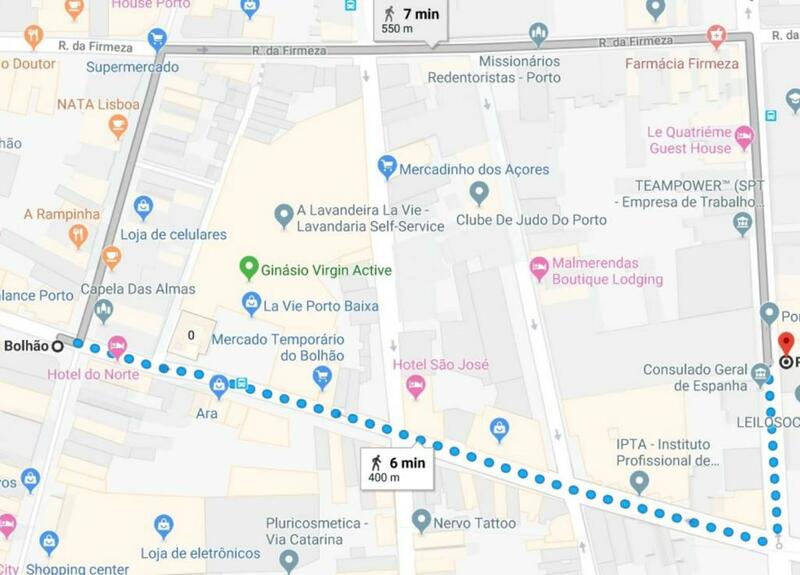 It is located near Rua de Santa Catarina, the most commercial and typical street of Porto with 1.5 km of trade and 5 minutes from the City Hall and Avenida dos Aliados, with quick access to all areas of Porto. It is located 8 minutes from Praça dos Poveiros, one of the most typical places and most sought after by the gastronomic offer. The famous restaurant Santiago, with the best francesinhas of Porto, Casa Guedes and the famous pork sandwiches with mountain cheese; Since 1927, Buraquinho has served potatoes, soups, rojões, chispe and sarrabulho potatoes; Casa Ribeiro is one of the most important restaurants in Porto to eat pizzas in a wood oven and roast pork or to eat a special dog in the Republic of the Cubs. In addition to the gastronomy has a vast patrimony to know around the apartment, with the Avenue of the Allies only 500m, S. Bento Station (750m), D. Luis I Bridge (850m), Cathedral (850m), etc. House Rules Smooth Oporto Apartment by Porto City Hosts takes special requests – add in the next step! A EUR100 damage deposit is required on arrival (around USD113.02). This deposit will be fully refunded 7 days after check-out, as long as there isn't any damage to the property. Please note that late check-in after 23:00 has an additional cost of EUR 20. Please inform Smooth Oporto Apartment by Porto City Hosts of your expected arrival time in advance. You can use the Special Requests box when booking, or contact the property directly using the contact details in your confirmation. A damage deposit of EUR 100 is required on arrival. That's about 113.02USD. This will be collected by credit card. You should be reimbursed within 7 days of check-out. Your deposit will be refunded in full by credit card, subject to an inspection of the property. Everything was perfect, clean and comfortable except for the bathroom and the walls. All four walls were paper thin, all made of thin wood. No privacy when it comes to acoustics. You can hear everything next door and everyone else can hear you. The bathroom was a total nightmare. The water in the shower would just leak to everywhere inside the bathroom and even out of the bathroom and all the way to the door way. No matter how careful you are and no matter how short you shower, the water runs straight to everywhere the moment you switch on the shower. Had to dry and clean up the mess in the bathroom for 15 mins after every shower!!! Total nightmare! The shower is an extremely poor design!!! The location was perfect, the apartment was very clean. It's a pity that the bathroom was so bad.